Holidays don’t have to be yet another excuse to buy a bunch of nonsense and waste a bunch of resources. 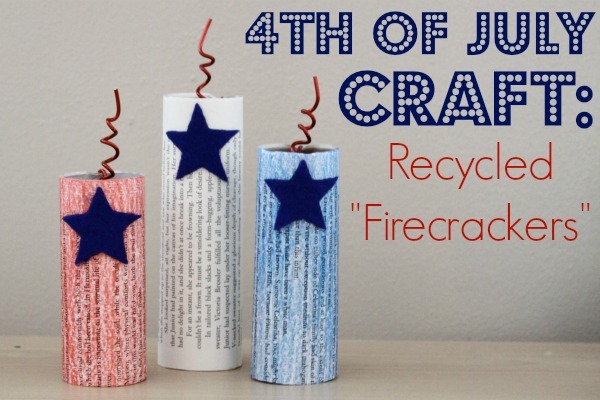 Instead, have yourself a very green 4th of July this year, by replacing something store-bought and consumer-driven with one or more of these eco-friendly crafts and recipes! 1. 4th of July Waldorf window star. You don’t have to be into fireworks to love the 4th. 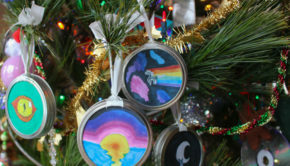 Here’s a lovely decoration that’ll give you some peaceful, quiet time in the making. 2. button flag. Kids love to play with buttons, so why not hand over some of your stash and let them go? While they’re working, you can make your own patriotic button art. 3. cupcake toppers. 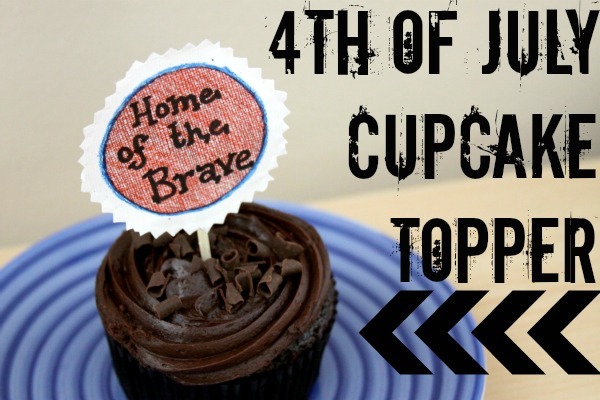 You’ll be the hit of your 4th of July potluck with these festive cupcake toppers! 4. egg carton flag. You probably have everything that you need to make this quick and easy preschool-friendly craft. 5. film canister rockets. Are you still hoarding an old film canisters from the days of print photography? 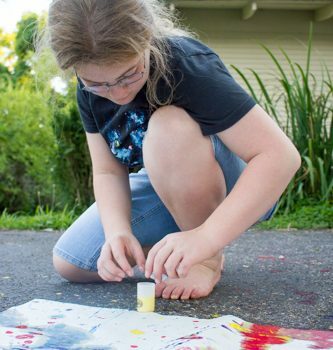 Whip them out and show all the neighborhood kids how to have a fabulous, messy time launching these DIY rockets. 6. firework painting. 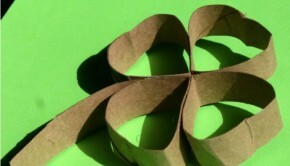 Here’s a process-oriented craft for the kids, and it upcycles toilet paper tubes! firework salt painting. Keep those little hands busy with another process-oriented project. 7. fireworks block set. You could make these in all sizes, from tiny tabletop models to giant porch ones. I also think that they’d make a cute toy set for the kids. 8. Mason jar candles. It’s the dyed rice that makes these candles truly special. painted burlap banner. It never would have occurred to me to paint burlap! 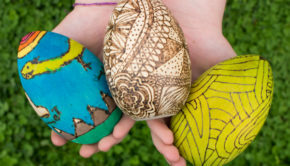 9. painted rocks. My kids and I have been painting rocks lately, and I have to say that I’m hooked! 10. parade wand. If you’re marching in a 4th of July parade, make it something special! 11. patriotic Mason jars. These are SO pretty. They look beautiful by themselves, but also make lovely vases or luminaries. 12. pinwheel. Here’s another toy that will keep a kid busy during the downtime at a parade or cook-out. 13. ribbon wreath. This is a great way to use up a LOT of ribbon scraps. 14. sparkle bottles. To make this even more eco-friendly, have your kiddos search for found or recycled items. This would make a great preschool or day camp craft for any time of year. 15. pineapple centerpiece. Spray paint isn’t a great choice, but I do like the fact that you can eat this centerpiece instead of trashing it. 16. stars and stripes rag ball. I don’t think that you should use Styrofoam balls, but I’d be very curious to see how old tennis balls would work for this project. 17. stick flag. If you’re in the market for a nature craft, this is the one for you. 18. tin can toss. This would also be a good target for bean bags. 19. toilet paper tube rockets. Love them or hate them, you know we can’t have a round-up without including at least one toilet paper tube craft! 20. toy sparklers. Give the little ones something that they can play with without burning their hands. 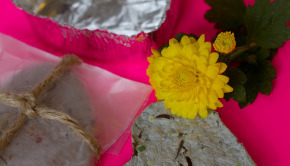 21. upcycled firecracker decorations. Here’s another toilet paper tube craft. 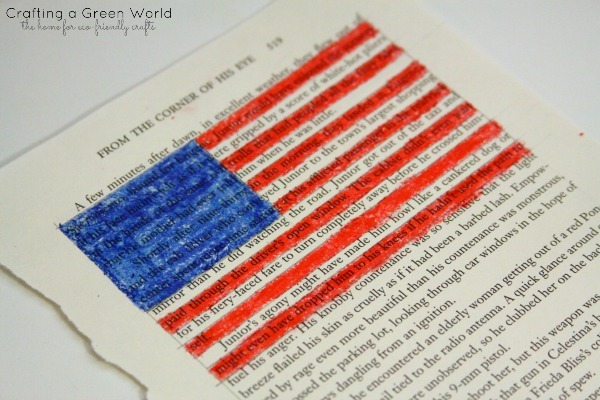 It also upcycles old book pages, for a more adult look. 22. windsock. Decorate this for the 4th of July, or just give it a summery feel. 23. yarn-wrapped star. This star takes a while to make, but just look how lovely it turns out!